Every week I get questions at Endeavor or through email about what supplements to take. Usually the question is, “What should I get at GNC?”. The truth is, you shouldn’t get ANYTHING at GNC. Frankly, all of their products are drastically over-priced, and the commission-driven recent high school graduate meat head playing nutrition expert is laughable and borderline dangerous…but I digress. With these things in mind, there are very few supplements and comparably few supplement companies that I stand behind. 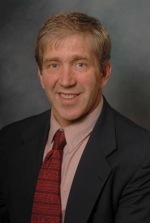 In this regard, Generation UCAN has an amazing product that I think you should look into. Despite being a new company, professional team sport athletes in every major sport AND endurance athletes have experienced the benefits of their patented Super Starch energy source and boast about how amazing they feel when they’re on it. Note that this is for a 12-ounce portion. 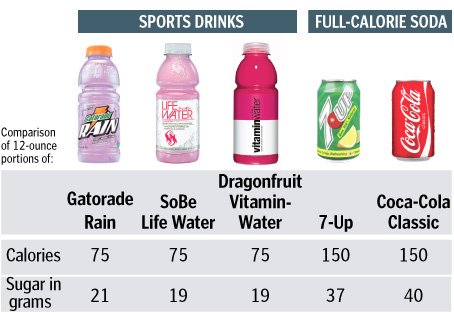 Your 32 oz Gatorade will have 56 grams of sugar! There’s so much crap out there that when something like Generation UCAN comes around, I think it’s important to spread the word. Regarding my three supplement necessities, Generation UCAN clearly satisfies the first two. As far as finding deals, I recently spoke with them about putting together a special discount for our athletes at Endeavor. Fortunately, as a reader of my site you can take advantage of the same deal. For the rest of December, you can save 25% on all of their products (and they have free shipping on orders over $100) by using the code “competehard”. Before you ever buy another Gatorade, please read the information available at this site. What you’ll find is that the research on Generation UCAN’s SuperStarch energy source enhances performance and fat burning compared to the energy sources found in typical sports drinks. You’ll also find that it’s supported by many of the top sports performance and nutrition experts in the world. Even better, when you order through this link, you automatically save 25% on everything when you use the code “competehard”, meaning you can get superior pre-, during-, and post-workout (or practice/game) drinks for a fraction of the cost of competitors. Stock up now! 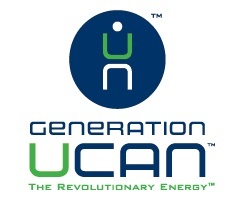 A box of Generation UCAN is the ultimate Christmas gift for the athletes in your life. Generation UCAN…because Santa wants you to be happy.